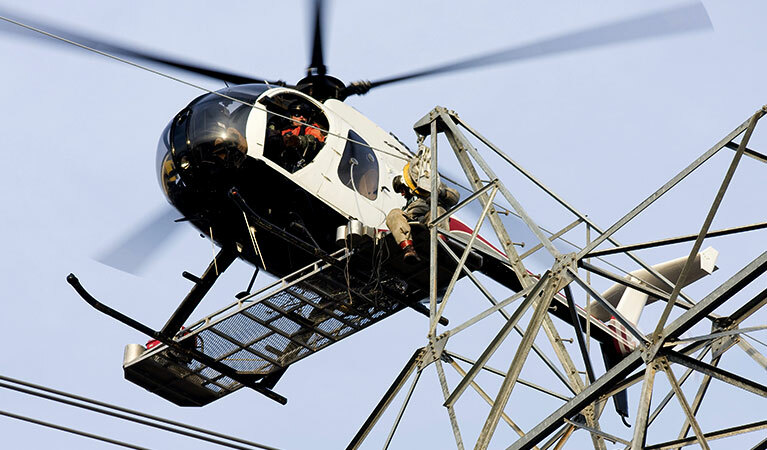 FairLifts, working with an experienced network of helicopter operators, coordinates Virginia transmission line construction solutions. Our experienced account managers arrange immediate and cost-effective transmission line construction services in remote and rugged areas of the state with limited environmental impact. Transmission line construction services include structure and pole placement, transport of vehicles, equipment, concrete and matting, structure framing, including changing cross-arms or davit arms and installing x-braces, knee braces and v-braces, hanging insulators and stringing blocks, pulling sock line, hard line, optical ground wire (OPGW) and shield wire, installing spacers, marker balls, bird discouragers and anti-galloping devices, and post-construction inspection. Virginia ranks third, after Colorado and New Mexico, in coal bed methane proved reserves, and two Virginia coal bed methane fields rank among the top 100 natural gas fields in the United States. Also, the ports in Virginia's Norfolk Customs District, America's largest coal export center, processed 36% of the nation’s coal exports last year. Natural gas fuels 50% of Virginia's net electricity generation, nuclear power provides 33%, coal fuels nearly 12%, while renewable resources, including biomass and hydro-power, supply more than 6%. The state has established a renewable portfolio standard (RPS) to promote investor-owned utilities to supply part of the electricity sold in Virginia from renewable energy resources. The RPS goal is for 15% of base-year 2007 sales to derive from renewable energy sources by 2025. Finally, Virginia’s Bath County Pumped Storage Station, with a net generating capacity of 3,003 megawatts, is the largest hydroelectric pumped storage facility in the world. 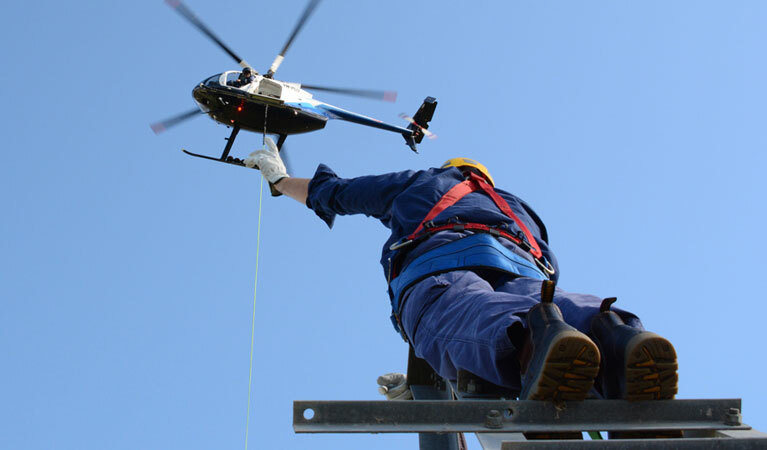 FairLifts, working with a global network of helicopter operators, coordinates immediate transmission line construction solutions in Virginia. FairLifts also schedules additional services, such as work crew and equipment transport to inaccessible sites, as well as heavy lifts for hardware and machinery. Read on to learn more. FairLifts’ agents working within an network of helicopter operators, coordinates heavy lift aircraft, capable of carrying over 9,000 lbs, to ensure lift solutions for transmission line construction operations. Expert pilots ensure maximum safety and cost-efficiency and provide environmentally-friendly services that include light to heavy lifts, and aerial crane services for the transportation and placement of heavy items. FairLifts organizes wire stringing and primary conductor placement onto the transmission line structures, including the installation of conductors, ground wire, insulators, stringing sheaves, rollers or travelers, vibration dampeners, weights, suspension and dead-end hardware assemblies for the complete extension of the project. FairLifts books proficient utility pole installation, enabling crews to reach inaccessible terrains with limited environmental impact. 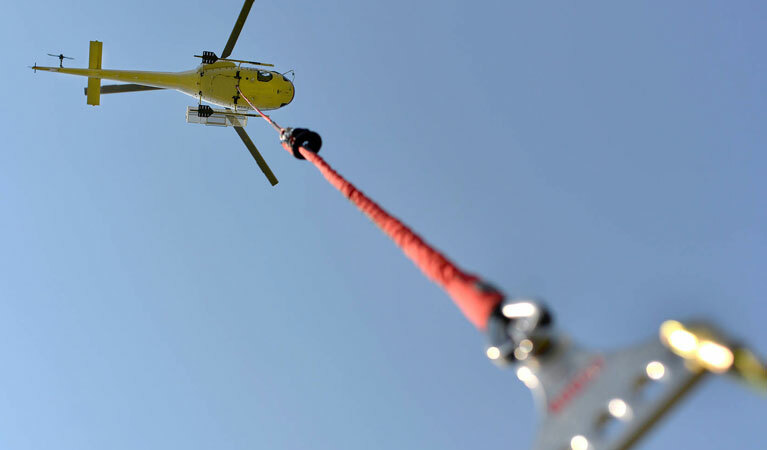 Helicopter lifts can lift composite poles, which have a greater strength/weight ratio than traditional wood poles, delivering the strength needed to install poles in remote areas of Virginia. FairLifts arranges all-inclusive ROW and site inspection of power transmission lines through infrared thermographic inspection, which detects transmission line inconsistencies. Other inspection services include corona measurement with new generation technology to identify corona interference in high-voltage transmission lines. FairLifts coordinates logistical transport at all stages of the transmission line construction project, including transport of equipment and materials, driving caissons, steel placement, and tower erection. An expert flight crew is available to deliver guidance and transport in isolated areas of Virginia. FairLifts account managers are available seven days a week to provide information, quotes, and planning for Virginia transmission line construction services. 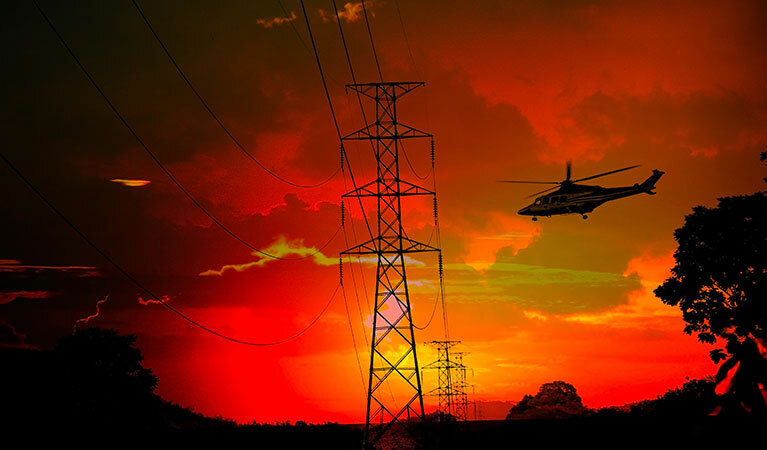 A global network of helicopter operators guarantees secure, unfailing and affordable solutions for all transmission line construction projects.